A very big and very happy 'hello' to you my friends in this, my first post of 2014! 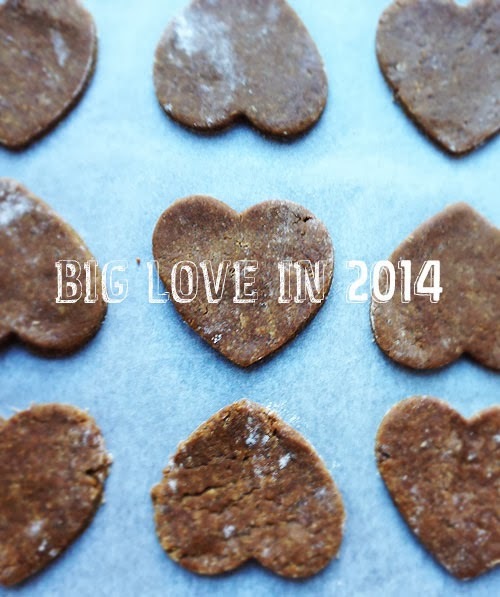 What better way to kick off the year than sharing a Brit Decor bake with you? 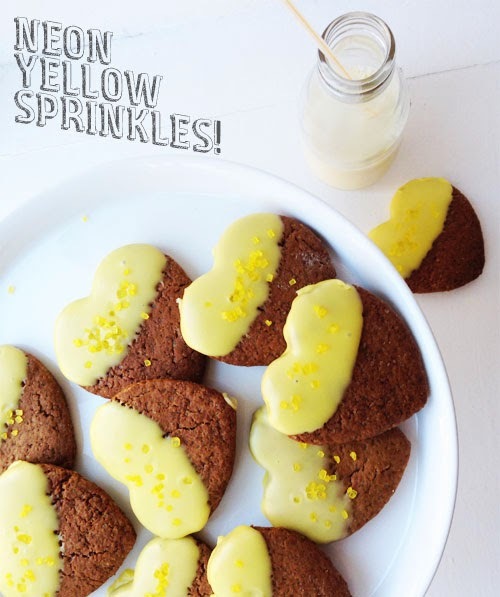 This one is a typically sweet treat and bang on trend for 2014 with Spring-bright yellow lemon flavoured icing and neon sprinkles. Naturally I couldn't resist using my heart-shaped cookie cutters to show my big love to you all! 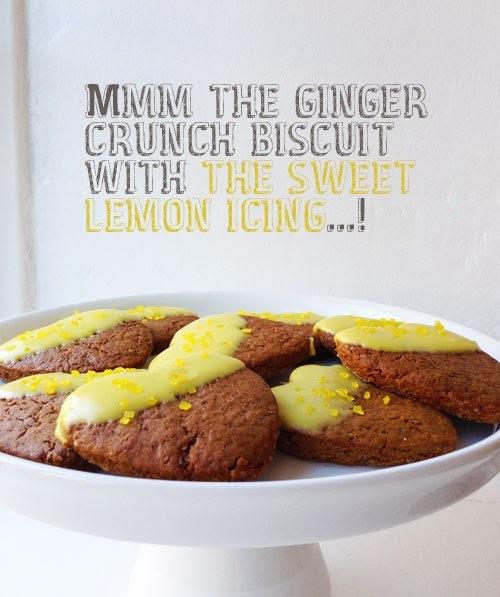 Please don't be deterred if, like my partner, you are not a fan of ginger biscuits because the flavour turns out to be very subtle and compliments the sweet lemon icing perfectly! The baking session also gave me an opportunity to sport my recently purchased vintage 1/3 pint milk bottle from Bloomsbury & Co and the fresh white cake stand (a Christmas gift from my amazing folks - thanks Mum & Dad!). Cream together the butter and brown sugar, adding the flour, ginger and bicarbonate of soda. Meanwhile, add the treacle to the beaten egg and then mix with the flour mixture until well combined. Finally, add the lemon juice and fold into the mixture, wrap in cling film and place in the refrigerator for 60 minutes. Preheat the oven to around 1800c/Gas mark 4 and line two baking trays with greaseproof paper, then roll out the chilled dough and cut out the heart shapes. Place in the oven and bake for approximately 15 minutes (I love the home-baked smell of biscuits in the oven!). It's great to be back, I've missed you all! Another fantastic bake, Mike. 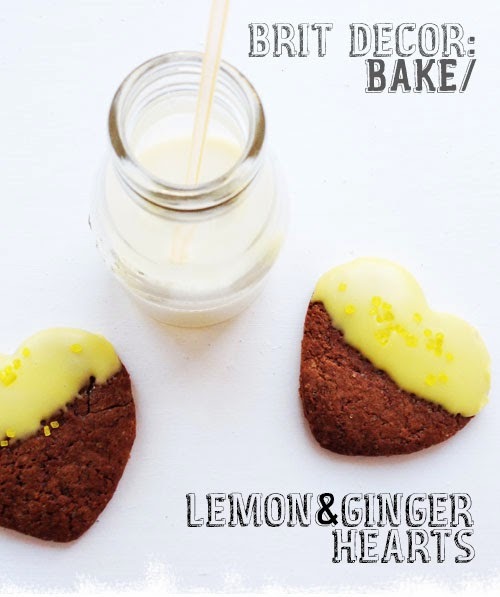 I love the sweet little heart shapes even more with their colourful yellow dip look! :) Happy New Year!